The team at Manchester’s indoor ski slope Chill Factore has gone one step further in proving they can teach anyone to ski. Chill Factore is running what it calls the “Guaranteed to Ski” programme, which is says ensures anyone — or anything — will be able to learn to ski or snowboard within six hours of lessons. If you’ve not learnt by the end of that six hours, the team will continue to teach you for free. 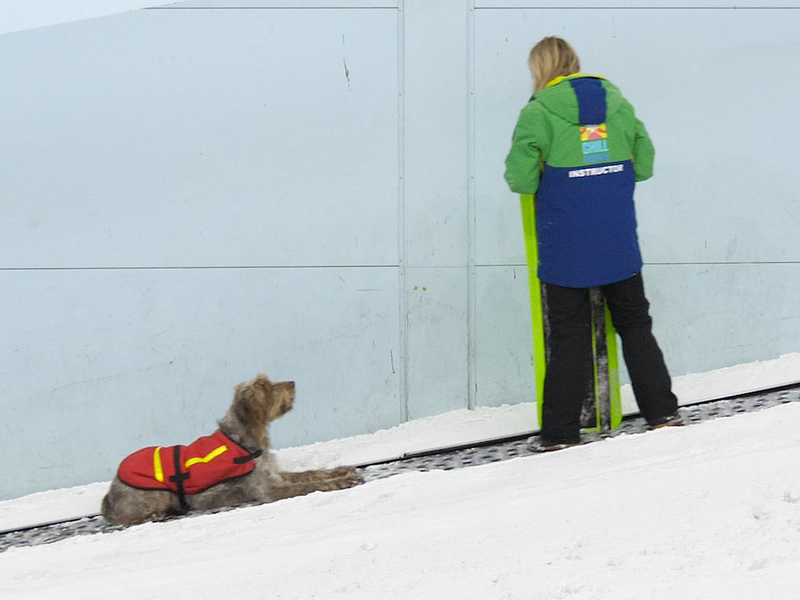 To prove their point, Chill Factore staff have been teaching a dog called Woody to snowboard. Woody is an eight-year-old Italian Spinone, and snowboard instructors had the dog snowboarding within a day, each time starting further and further up its beginner slope. According to Chill Factore, the dog took a few tumbles at first, but after a little balance work he got the hang of it. The Guaranteed to Ski programme ensures anyone will be able to ski or snowboard within six hours of tuition, and if the skill has not been mastered after the allotted time, Chill Factore will continue to give free tuition until you’ve nailed it. You can book a place on the Guaranteed to Ski programme at chillfactore.com/offers — the offer is valid on all lessons until 28 February 2019.